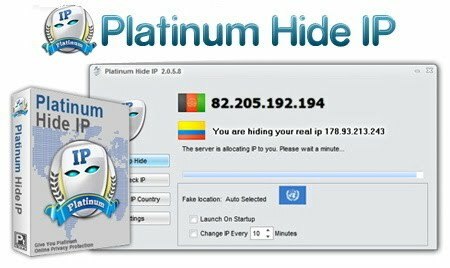 Use Platinum Hide IP to keep your real IP address hidden, surf anonymously, secure all the protocols on your PC, provide full encryption of your activity while working in Internet, and much more. Your real IP is hidden when you surf on the Internet, keeping your online activity from being tracked by others. Anonymous web surfing enables you to prevent identity thieves from stealing your identity or other personal information, and keep your computer safe from hacker attacks or other risks. Proxy lists of many countries are enabled and you decide to select one country from the Choose IP Country window. You can check the current IP address directly. Krishna Reddy © 2008 | Templates Novo Blogger.